Small pieces of stitching are usually enough to satisfy creative urges without becoming overwhelming projects that slip into the ‘will finish some day’ box. Heart pins fit the bill. Creativity is assuaged in the selection of fabric and thread colour, and size ensures the piece makes it to completion. Pinning one onto a denim jacket or a canvas satchel, is quite gratifying – you have endorsed your look with your own logo. Cutting two large heart shapes from felt (I used old felted jumpers) and one small heart from a scrap of coordinating cotton fabric. These templates are perfect. Using a contrasting thread (stranded cotton is available in a myriad of colours) blanket stitch your cotton heart onto the front of one of the felt hearts. 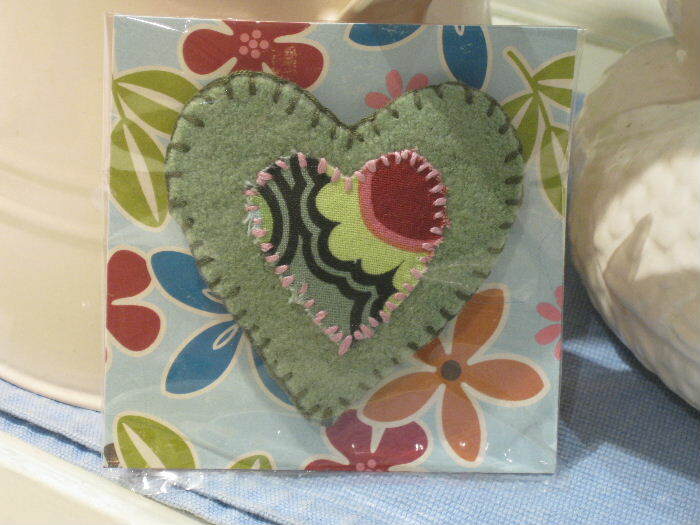 Sew a brooch pin (or safety-pin) to the back of the second felt heart. Place both felt hearts (blank sides together) and using a second contrasting thread, blanket stitch your way around the edges, so both are attached. 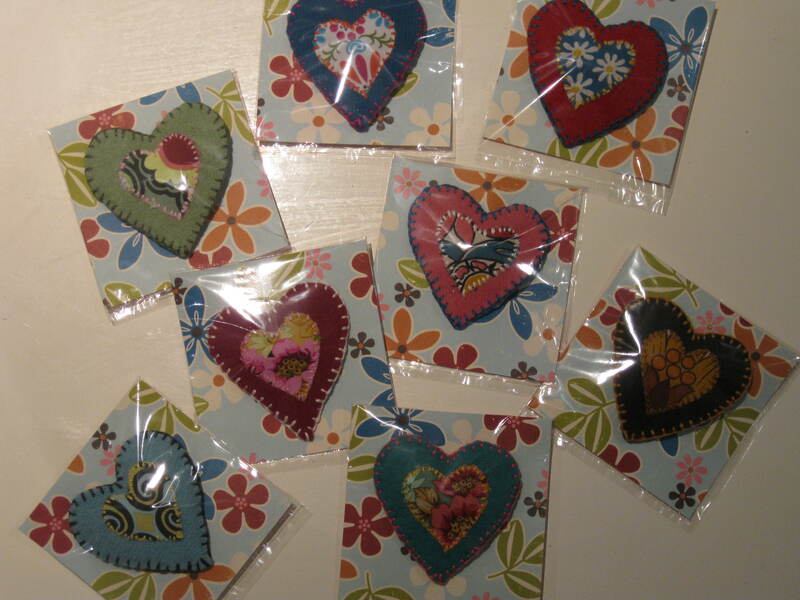 If your heart is to be gifted, cut some coloured card into squares, pin on your heart and slip into a plastic bag. Postscript: See if you can stop at one.